Parties need to secure an election day for 2017. Parties should set up a committee to oversee implementation of the agreement. Parties should select a date for the change in prime ministers and transitional government. Legal cases of political prisoners and activists in exile must be resolved. The media and free press must be reinstituted. Partner organization, the Enough Project, launched The Sentry, an initiative to investigate and dismantle the financial network bolstering mass atrocity in Africa. alter the incentives for funding or profiting from violence and mass atrocities. This will lend greater support to broader accountability measures as well as provide leverage to peace efforts aimed at ending Africa’s deadliest conflicts. Watch and share their new multimedia and social media. Submit anonymous tips on financial support for conflict and atrocities in Congo, South Sudan, Central African Republic, Sudan, and Somalia. TRAILER CONGO TRIBUNAL from IIPM on Vimeo. All actors in the 20 year conflict in the Congo were put on trial in the pseudo-international tribunal. "The resources are divided very badly. A small group of people takes it all. The rest struggles in misery" explains Pastor Théophile Gakinz of Bukavu. Supranational corporations, international NGOs, and even the national government were put on trial during the hearings in Bukavu and Berlin. In addition, the "cast" includes "opposition politicians, military officers and rebels, UN and World Bank mandarins and major mining companies, as well as ordinary Congolese citizens, philosophers, economists and lawyers who will all appear before an international jury." The Guardian writes that the film will be available in the Fall of 2016. See international news coverage here. 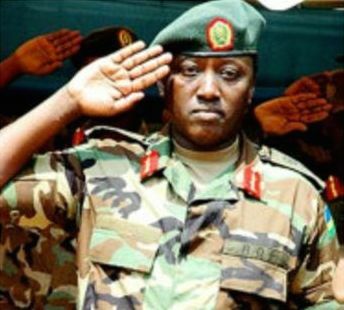 Karenzi Karake, Rwanda's director general for national intelligence and security services, was arrested by officials in London for alleged atrocities committed against Congolese and Spanish nationals in eastern Congo and Rwanda between 1994-1997. Spanish news describes Karake's 2008 indictment for genocide, war crimes, crimes against humanity, various charges related to terrorism, and connection to the deaths of three Spanish NGO workers in 1997. Hear author and writer Philip Gourevitch discuss the legitimacy of the indictments. Read full coverage from the UK here. Read full coverage from Spain here. "The United States calls on the Government of the Democratic Republic of the Congo to ensure that these detainees, and all detainees, are afforded full due process and released immediately if no charges are warranted." 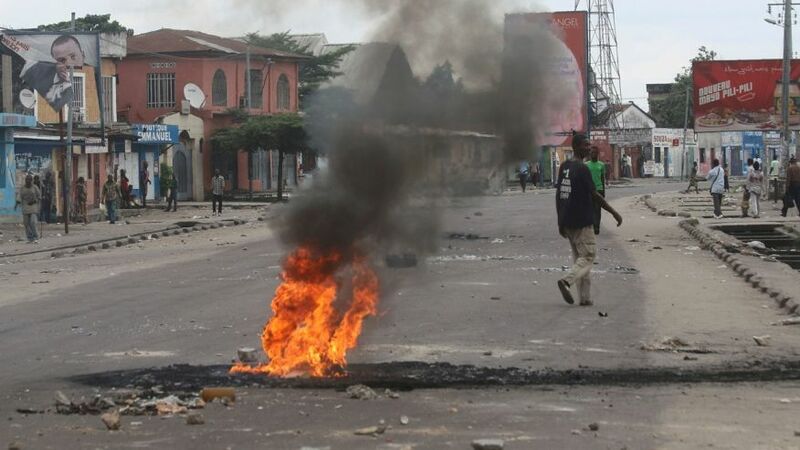 Join Congolese citizens, diaspora, and NGOs across the globe to demand peace and justice in Congo. The DOS statement refers specifically to protestors arrested in the #Filimbi and #Lucha demonstrations in Kinshasa and Goma. It emphasizes the importance of respect for the Congolese constitution as elections approach. April 2, 2015: "The Promise of Peace: UNSC Resolutions 2098 and 2147 and the Protection of Congolese Civilians"
Danielle Allyn, a senior at University of North Carolina Chapel Hill, Midatlatnic Campus Organizer for the Enough Project and role-model activist completes her thesis, "The Promise of Peace: UNSC Resolutions 2098 and 2147 and the Protection of Congolese Civilians." 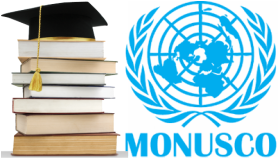 A fantastic resource, educational read and well-researched publication, Allyn's thesis addresses the pressing issues surrounding MONUSCO's involvement in civilian life and includes her personal interviews with DRC locals. Read our full-feature including Danielle Allyn's bio and thesis here. 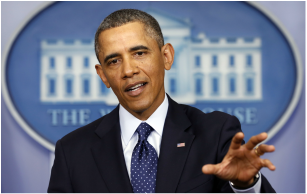 "President Obama spoke today with President Joseph Kabila of the Democratic Republic of the Congo (DRC). 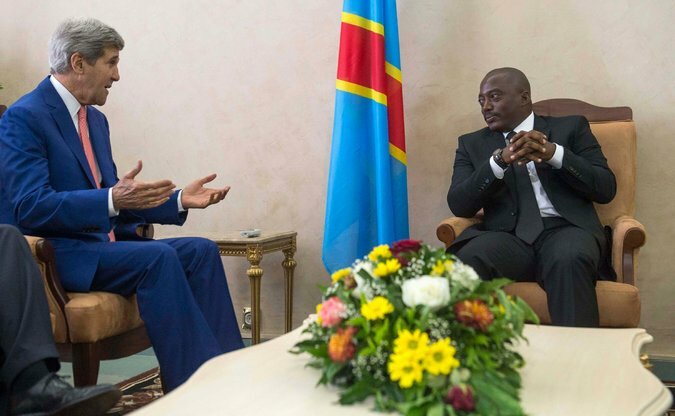 The President emphasized the importance of timely, credible, and peaceful elections that respect the DRC's constitution and protect the rights of all DRC citizens." Boston for Congo (BFC) celebrates one year of activism and policy work for sustainable peace and development in Congo and the Great Lakes Region of Africa. The European Parliament (EP) is considering legislation similar to the United States Dodd-Frank Section 1502 regarding mandatory reporting of conflict minerals (CM) use. Critiques of the proposal describe it as imposing "unrealistic obligations" on European corporations. However, as the United States nears its second reporting of CM use, corporate leaders like Intel and Motorola (including SfH) are creating and inspiring paths to conflict-free sourcing from the Congo. As members of the EP have described, the voluntary conflict mineral certification passed last year "lacks ambition", demanding that European companies take greater responsibility in improving peace in eastern Congo. The oscar-nominated documentary Virunga follows the efforts of park rangers in Virunga National Park, a UNESCO World Heritage Site in eastern Congo, to protect the endangered mountain gorillas and other wildlife from alleged illicit acts by officials of supranational corporations like Soco International, the Congolese government, and rebel groups like the now disbanded M23. Attention to the film produced Leonardo Dicaprio is rising quickly, with Bill and Hillary Clinton, Ann Curry, and Jonah Hill all publicly displaying their support. International Criminal Court (ICC) Chief Prosecutor Fatou Bensouda joins the UN Secretary General, NGOs, and policy analysts to call on all regional and international players to remain committed to a permanent end to the Lord's Resistance Army (LRA) rebel group through peaceful defection of remaining combatants. LRA leader Dominic Ongwen arrived at the ICC on January 20. 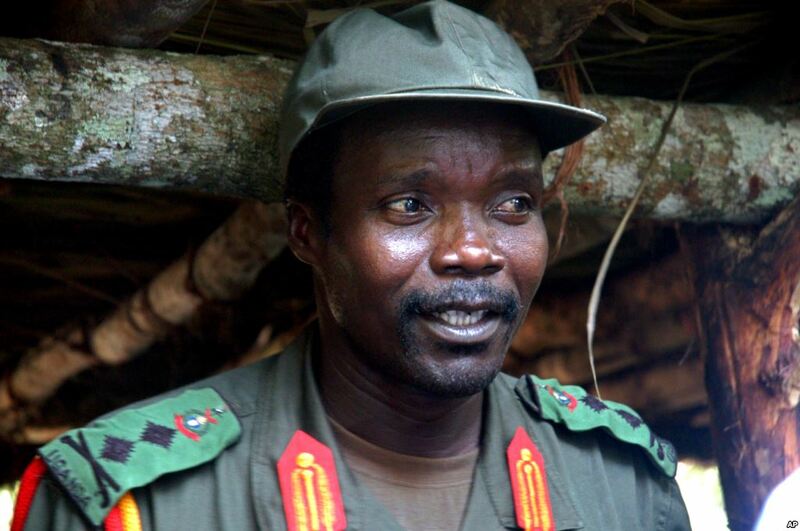 He faces 33 counts of crimes against humanity and war crimes for brutal atrocities committed in Congo, Uganda, CAR, and South Sudan. See Chief Prosecutor's statement in French and Acholi (Uganda). Boston for Congo Advocacy Intern, Stella Edwards, produced a 2014 update on conflict minerals in the Congo and activities by Lasell 4 Congo and partner organizations Congo Action Now and the Enough Project. Academy Award winning director Kathryn Bigelow made this PSA to highlight some of the violent groups and individuals supported by the ivory trade, including some committing atrocities in Congo such as the Lord's Resistance Army and soldiers of the Congolese Army (FARDC). Archbishop Francois-Xavier , an outspoken advocate of conflict-free resources, joins the global call for the European Parliament to pass a binding resolution that will ensure companies in member states inform the public of whether or not they source from conflict mines in the Congo, perpetuating the most deadly war since World War II. He emphasizes that Europeans have a right to know if products they purchase support conflict globally. 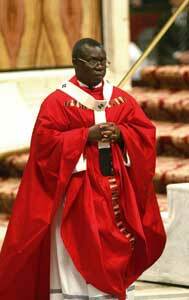 Read op-ed by the Archbishop of Bukavu here. 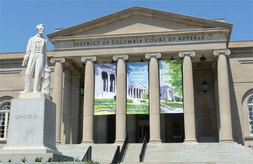 The US Court of Appeals for Washington D.C. has expressed interest in rehearing an earlier decision to limit the power of the Dodd-Frank Section 1502 rule requiring companies to declare the conflict-free status of their supply chains, a rule that legal representation for Amnesty International Julie Murray describes as "a commonsense disclosure requirement that provides investors and consumers with key factual information." 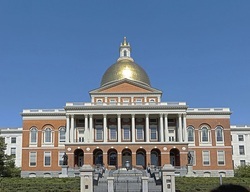 Boston for Congo and partner organizations Congo Action Now (CAN) and the Enough Project launched an email campaign in support of MA H.2898 A Act Relative to Congo Conflict Minerals. Please support and share to improve US policy affecting peace in the Congo. President Obama signed an executive order expanding sanctions on groups and individuals that support conflict in eastern Congo. 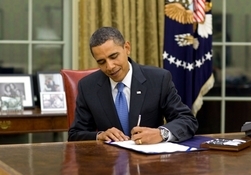 Read President Obama's executive order here! For more information, read the fact sheet on the DRC executive order. Dodd-Frank Section 1502 reporting requires are providing results despite limited industry response. Partner organization Enough Project released the report The Impact of Dodd-Frank and Conflict Minerals Reforms on Eastern Congo's War describing how regional and international action has positively impacted violence on the ground in the Congo. Read more about the impact of Dodd-Frank on the DRC war here. 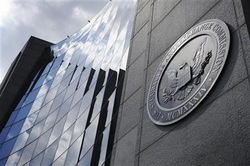 June 2nd was the deadline for publicly-traded companies in the United States to file their mandatory conflict mineral impact reports with the Securities and Exchange Commission (SEC) (Dodd-Frank 1502). However, as international NGO Global Witness warns, many filings were inadequate with questionable due diligence. 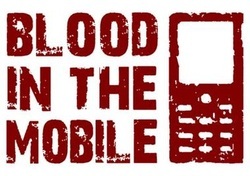 Consumers, activists, and companies that source from the GLR must follow industry leaders like Motorola Solutions (Solutions for Hope) and Ford Motor Company in supporting conflict-free mining in eastern Congo. 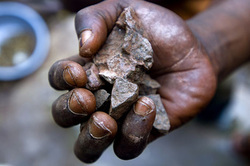 Technology industry leader in conflict-free sourcing Intel released a new web hub to raise awareness of conflict minerals, responsible sourcing, and conflict-free technology components from the Congo. 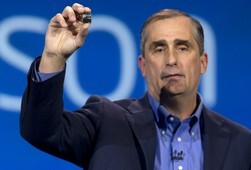 ﻿Read Intel's web hub here! The European Union released it's long-awaited strategy to clean up the trade of minerals source from the GLR. However, as IPIS Research's Anna Bulzomi questions, will the limited strategy be effective? Garrett Moore (BFC) and Pat Aron (Congo Action Now) were recently published in the blogs of partner Enough Project and AllAfrica in an op-ed discussing the effectiveness of advocacy for peace in the Congo. World Without Genocide to limit its purchase of technology that uses conflict minerals to further incentivize conflict-free sourcing from the GLR. 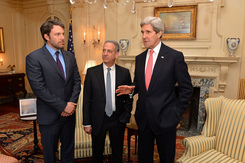 Secretary Kerry addresses the press to announce the appointment of Senator Russ Feingold as the U.S. Special Envoy for the Greater Lakes Region. Enough Project congratulates Senator Feingold in an open letter.